Joe Joyce right on the money! 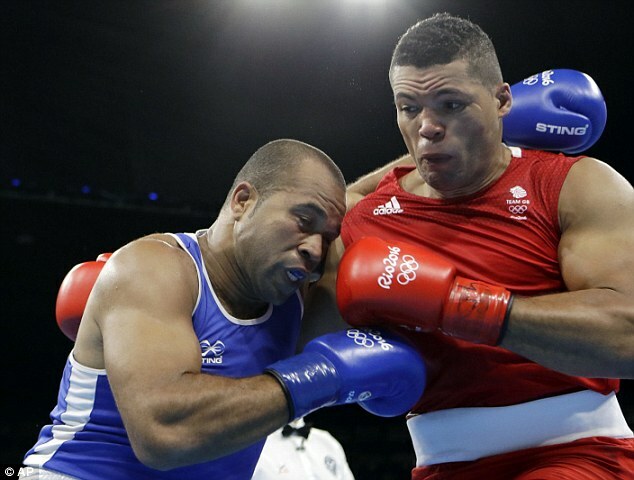 Joe Joyce put on a knock-out show for Floyd Mayweather as he embarked on his bid to win the super-heavyweight gold at these Games. The Money man jetted into Rio earlier in the day and arrived at the boxing arena in time to see the giant dubbed ‘the new Anthony Joshua’ go to work on only the second Olympian boxer in the history of the Cape Verde Islands. Given Mayweather’s taste for the theatrical he surely enjoyed Joyce’s perfect timing. Our 6ft 6in fine artist and practised gymnast floored Davilson Dos Santos once midway through the first round with a thumping left hook. He struck again in the last second of those three minutes, landing a round house right on Dos Santo exactly as the bell rang. His opponent slumped sideways to the canvas and although he lumbered to his feet at the count of eight he was in a fog and the referee waved it off. 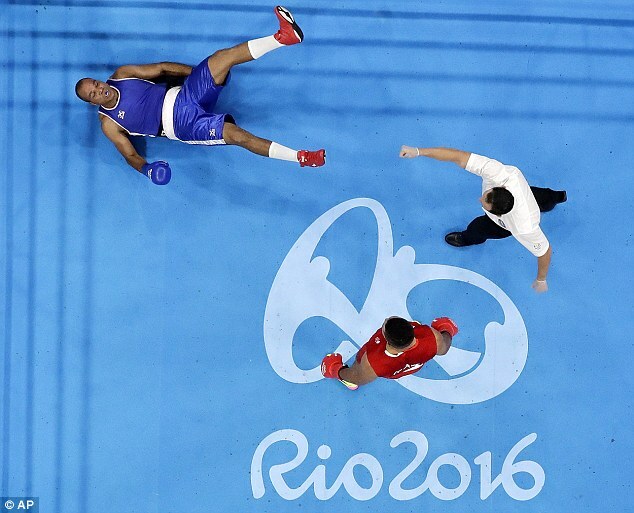 Joyce was not told of Mayweather’s presence in Pavilion 6 at Riocentro until after the fight. Perhaps that was just as well. Joyce said: ‘I was really nervous in our flat in the Village. I was thinking to myself how big this is, that this is the Olympic Games. Dos Santos came out punching but was startled as soon as Joyce found his range with some heavy shots . His next hurdle is a man as large himself. 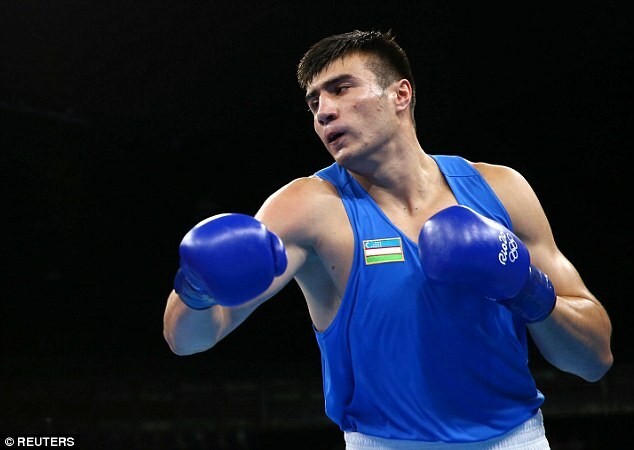 Kazakhstan’s Bakhodir Jalolov was little known before these Games but has emerged as a tall, rangy southpaw with fast hands. 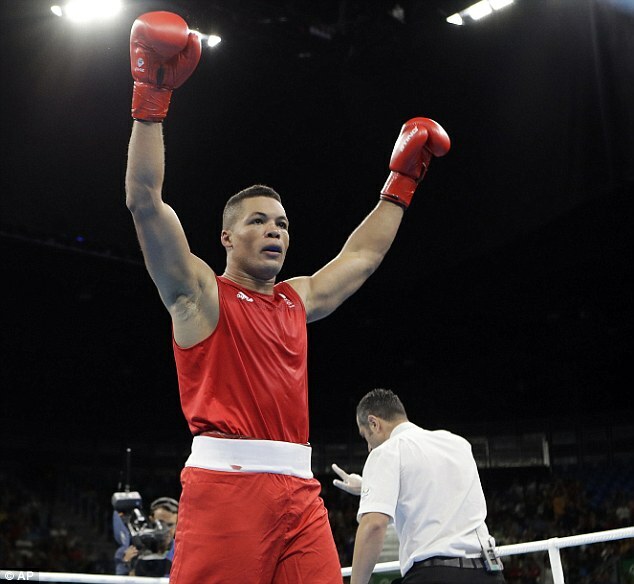 He landed a big knock out of his own, against Venezuela’s Edgar Munoz,to join Joyce in Thursday’s quarter final, in which the winner will be guaranteed at least a bronze medal. Presumably Mr Money will be in the audience.